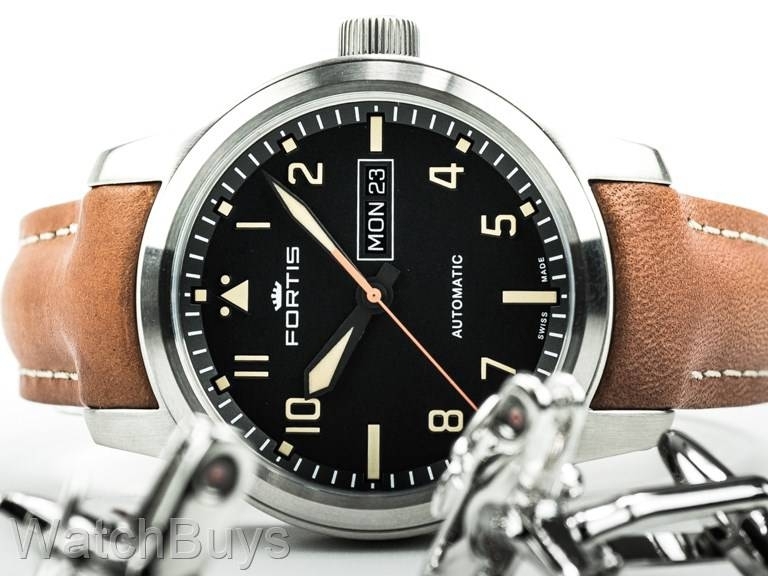 The Fortis Aviatis Aeromaster has become one of our best selling Fortis watches, so we were very pleased to see at BaselWorld that the brand had added a new model with a twist. 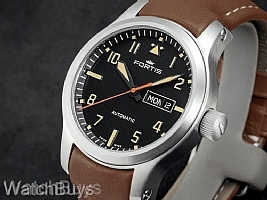 The new Fortis Aviatis Aeromaster Old Radium uses a special color of SuperLuminova which closely matches the color of radium, a radioactive material that was used on watch dials and hands for many years before being banned as a health hazard (the SuperLuminova used on this watch has no radioactive properties). 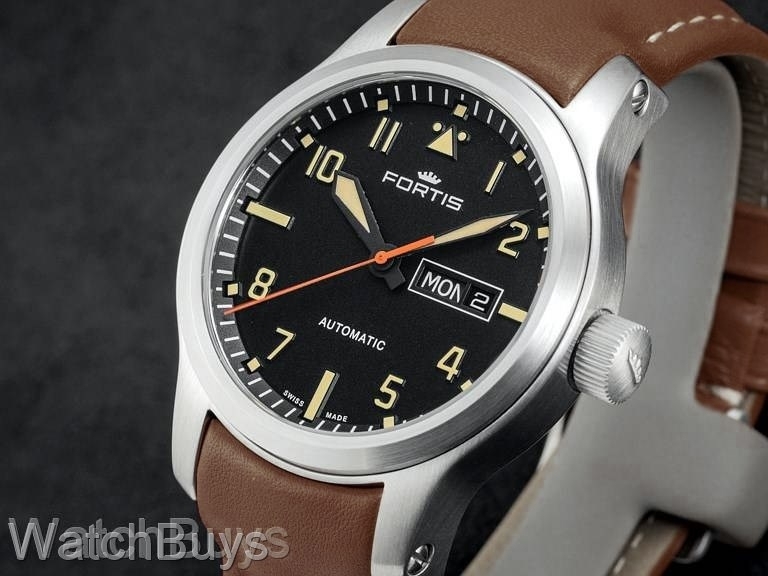 The new Fortis Aviatis Aeromaster Old Radium features a "chiseled dial". 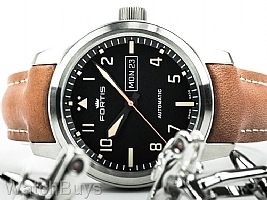 Fortis has employed special manufacturing techniques to create a multi-layer dial with engraved indices, retaining the classic design of earlier B-42 watches but adding a modern design. Another commanding presence of this watch comes from a combination of size and legibility. The 42 mm satinized case makes the new Fortis Aviatis Aeromaster Old Radium a perfect size for everyday wear. The Fortis Aviatis Aeromaster Old Radium features a sapphire crystal with double anti-reflective coating for ease of use in a variety of lighting conditions.